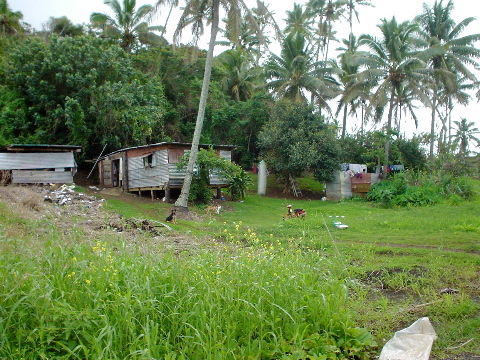 Lots of people live in tin shacks here. Previous photo. Next photo. Archive. On June 21, 2003, Mark Frauenfelder and Carla Sinclair moved from Los Angeles to the South Pacific. Our first stop is Rarotonga, a tiny island in the South Pacific. We're bringing our two young daughters with us. This is our story, one photograph at a time. The Island Chronicles: MARK FRAUENFELDER and CARLA SINCLAIR continue their experiment in South Pacific living. Read their latest dispatch exclusively on LAWeekly.com!